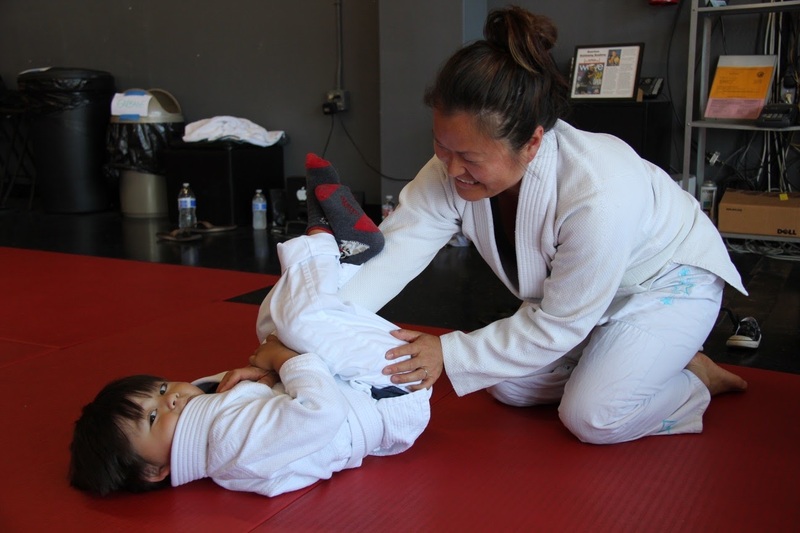 This week we dive into ‘How to Balance Parenting and Jiu Jitsu’. The name of the article could also be something like ‘Zeroing out all the other tasks in your life so you can focus on Family and Jiu Jitsu’. Once you hit a certain age there will always be something competing for your Jiu Jitsu time. For some of us, instead of parenting, you may have obstacles like competing hobbies, work or socializing. There can often be distractions that take us away from important tasks. To preface the article I am married, I work as a website developer for a start up, I have two daughters (10 months and 3 years) and I am a Brown Belt in Brazilian Jiu Jitsu. I have a lot of competition for my time. Here is how I am attempting to balance everything. Taking care of tasks when the children are sleeping like making baby bottles, emptying trash is a great way to prepare ahead of time. The basic thought is: Get any task I can complete on my terms rather than trying to complete a task when I have a time crunch. Example when I need to get one of the kids ready for school and I need to fire off some emergency emails that could have been completed the night before. The wife and I used to have disagreements about the frequency of my workouts. I used to let her know that I would be working out at the academy around 9 am of that day. The late notice didn’t work for her because she needed me at home to help with the kids. What we worked out was a shared google calendar so it was understood that I had workouts on certain days. Also, I could offer support in alternate ways on those days. On my workout days, I go home at lunchtime and clean bottles and/or clean the house. I don’t know why we don’t make bigger deals about Calendars. Calendars are great they allow you to design your successful day. Bills can be a big stealer of time. You got your Mortgage, Electrical, Water, Gas, Garbage, Phones, Entertainment, etc. Essentially, I put as much as I can on electronic auto pay. I keep the routing number and bank account numbers very handy. Sometimes your bills have a little logic that says if the bill is above a certain number then you get a text/email alert. This came in handy when my water main broke and rocketed to $500 per month. I got alerts immediately that something was wrong. I also suggest using service link Mint.com. It is a service run by Intuit that will put all your financial information on one dashboard. It is a great way to catch problems with bills. Normally a trip to the grocery store can eat up 60 to 90 minutes. Instead of going to the store once a week, we opt for a service that delivers groceries. To me, it makes so much sense to order groceries in the middle of the night and have them delivered the next day. I use Google Express to get items from Costco and Target. The price is around $95 a year. But it works out to about $5 an order. We also use Amazon Prime which is just awesome. I can find anything I need on there at a range of prices. Amazon Prime will run you about $99/year. Amazon Prime comes with video streams and cloud storage now. All sorts of goodness. Essentially, I have now delegated the activity of shopping. Time saved for living my life. Most schools have some sort of alternate workouts times outside of afternoon sessions. I recently learned to really embrace these alternate workout times. If your school does not provide off hour times to workout then it pays to know if other schools are providing open mat times in the early morning or lunchtime. The advantage of early morning or lunchtime workout is getting to spend dinner time with the kids and wife. It also helps mix up your workouts with athletes with unique moves you may not have access to. Additionally, attempting a workout after 5 pm can feel draining. Your BJJ performance could be low energy. Midday sessions are almost always more energetic. Enter your Jiu Jitsu school every day with an objective you would like to complete. All too often we get into a state of mind where simply showing up will advance us in the sport. An example would be I want to pass the guard of a particular opponent that I have trouble with. So I set out by talking with other BJJ addicts who are better than I at this task. I work on passing solution until I can see a measurable impact on my game. I do this because early on in my BJJ career, I feel like I lost months on Jiu Jitsu because I thought showing up to the school was good enough. Or I would get feedback like “You need to just roll.” I took this advice to mean ‘Just show up and you will magically improve.’ This, of course, was not correct. Finally and most importantly. Discipline will be your most important tool with everything you do in Parenting and Jiu Jitsu. Story time: When I was 16 I attended a wrestling camp in another state. It was considered ‘Hell Camp’ by my colleagues. The camp was run by a NCAA Division college wrestler and coach and former Army Ranger. He was big into discipline and I still remember him clearly 24 years later. His take was on discipline is the art of saying ‘No’. No to all the distractions. No to anything that does not directly help you reach your goal. In my case, I have to say no to anything that didn’t help with family, Jiu Jitsu and work. It meant for me less socializing, less Netflix, less Xbox, and no more drinking. If Jiu Jitsu has taught me anything it is that small moments in time become more important as you get better at something. The little moments during your day may not seem consequential however it is a moment you are moving in the opposite direction away from your goals. Back in May I did a podcast with the Clint Cronin Show. I had a great time on the show. We covered a lot of topics from Parenting and Jiu Jitsu, nootropics, to robotic genitalia. Previous post Steve Maxwell interview – A must see!